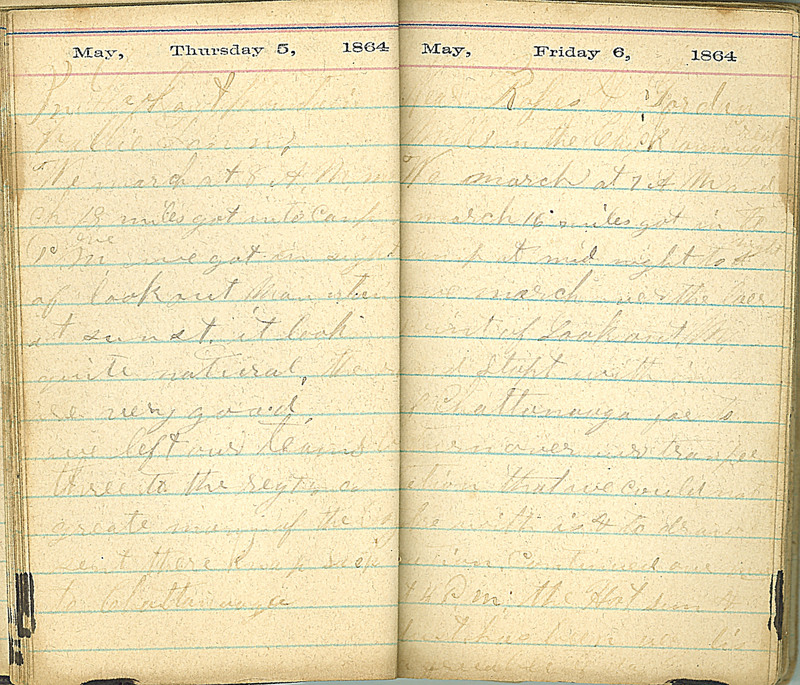 May, Thursday 5, 1864 In [Hookart?] [?] [Vallie?] Tenn. We march at 8 A.M. march 18 miles got into Camp one P.M. we got in sight of lookout Mountain at sunst, It looks quite natural, the [roads?] are very good we left our teams three to the regt., a great many of the boys sent there Knap sacks to Chattanooga May, Friday 6, 1864.M. Near [Rafes?] & Jordan Mills in the Chicktawauga Creek We march at 7 AM and march 16 miles got in to Camp at mid night to night. we march over the [?